Welcome to the new Top Tip series: Social Media Use for Your Personal Brand. We'll give you a bunch of tips and best practices to help you utilize new platforms to promote and boost your Personal Brand online. This series is all about Facebook Live and how to use this platform to your advantage. Facebook released Live last 2016 and users of the new feature have already been reaping its benefits. Why should you start using Facebook Live for your brand? 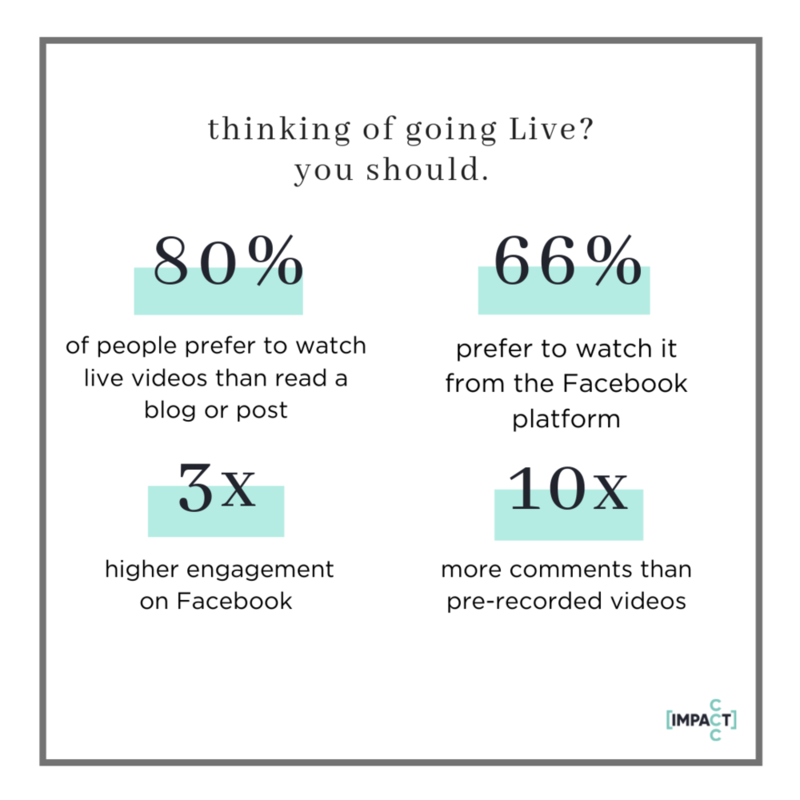 According to a study, 80% of people prefer to watch live videos than read a blog or post, with 66% preferring to watch it from the Facebook platform. Live has 3x higher engagement on Facebook, getting 10x more comments than pre-recorded videos. These data tells something about people’s interest in watching content and being engaged with in realtime. Facebook Live is definitely the area to work on if you want to be seen as a thought leader in your industry. It’s a great platform to use to promote your Personal Brand, and to create a good number of following who could be your future clients. After a video is streamed, it remains in your page as a regular uploaded video would. This gives audience who weren’t able to join live a chance to watch the video. Whether you are trying to promote your Personal Brand, discussing a product, growing and engaging with your audience and creating interactions, or simply giving an update, Facebook Live is a platform you’d want to use, especially if your objective is to try and give a more personal touch when communicating with your market. Promote and build anticipation around your upcoming live streams. Facebook allows you to schedule when your live broadcast will be, and gives you a link to it that you can share anywhere you are promoting. Your audience can also choose to get a reminder shortly before you go live. Write a good headline and description. Sometimes if you’re promoting brand awareness to people who don’t know you yet, you want to get them interested from the onset by giving them a promise of value if they watch. You can show and document this through your headline and description. Live allows users to be Live with another user, which means you can have a live video chat with someone else, that everyone else sees. You can invite a cohost, special guest speaker, or a person you want to interview. Repurpose your Facebook Live content. Take note of which points your audience seem to most engage with and post them creatively or create a whole different set of content around that. Live works best when connected to Wi-Fi, but 4G connections work fine as well. Check your internet speed ahead of time. A Facebook Live video can go as long as 4 hours. If you have that much content for that amount of time, think also of how the length will create an impact to the viewers. Set a time and say it during promotion or at the beginning of the stream, so they can set that, too. Still thinking about how you can create your personal brand? Talk to us or check out the impaCCCt Online Academy and discover what you should be talking about on Facebook Live, and how you can create a career around it.